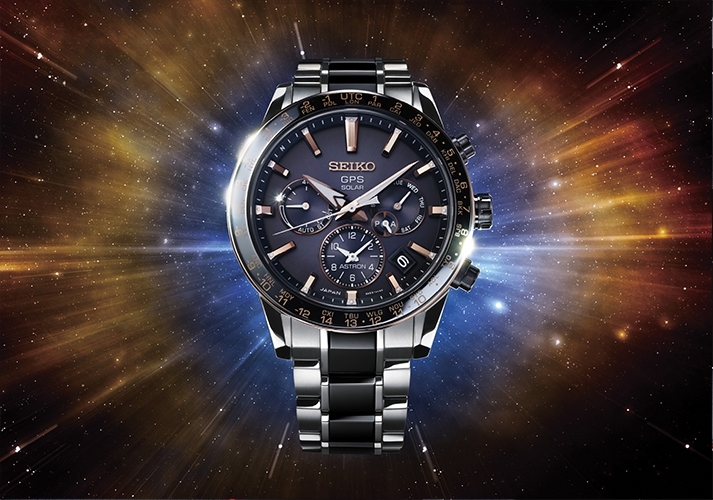 Caliber 5X powers our most advanced ever Astron GPS Solar collection. Since its first appearance in 2012, Astron has proven to be a stunning success worldwide. 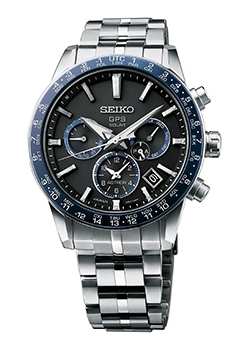 In its six years of existence, hundreds of thousands of watch lovers and world travellers have foundthe practical, "real life" advantages of Seiko's GPS Solar technology and the uniqueness of Astron's design to be an irresistible combination. 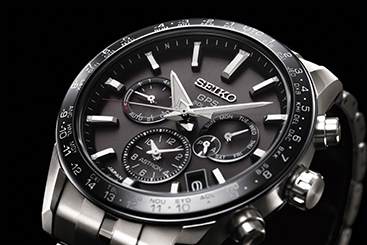 Over the same period, the range of Seiko's GPS Solar calibers has advanced and expanded such that Astron now offers Chronograph, Dual-Time, World-Time and Big-Date versions. Today, a new chapter in the history of Astron GPS Solar technology opens with the launch of an entirely new caliber, 5X, that offers the most advanced functionality ever. 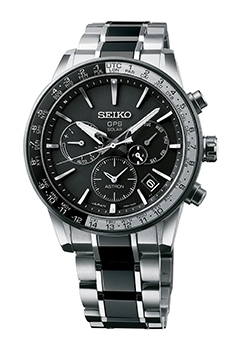 The new Astron 5X series is the world's smallest and thinnest* GPS solar watch. 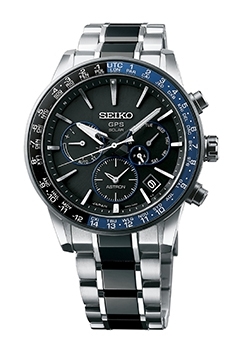 It is just 42.9mm in diameter and 12.2mm in depth. As of October 12, 2018. 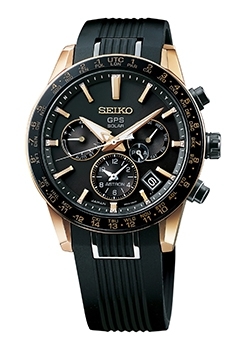 Based on Seiko's research. All versions except SSH009/011, which are 43.5mm in diameter and 13.3mm in depth. To enhance the speed and quality of the GPS connection, every component in the GPS module has been re-engineered. The operation of the 5X caliber is also faster and more intuitive than ever. For example, only three seconds are needed to advance 14 hours from Tokyo to New York time, thanks to the system that moves hour, minute, and seconds hand independently. 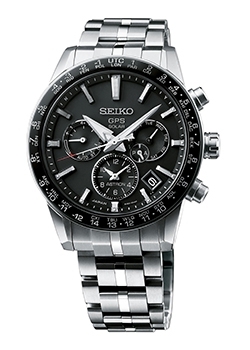 New functions also allow automatic adjustment to Daylight Saving Time* and give the wearer the ability to switch the main dial instantly from home to local time and vice versa. 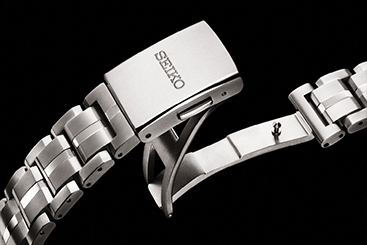 Its comfort on the wrist is further enhanced by a new buckle system that the wearer can use to make the minor adjustments that are so important when temperature or other changes make the wrist expand or contract. by pushing the two buttons at once. Like all its predecessors, the new Astron 5X series adjusts at the touch of a button to your time zone* by connecting to the GPS satellite network and, as it takes all the energy it needs from light alone, it never needs a battery change and yet delivers the astonishing precision of an atomic clock, one second every 100,000 years. It even connects twice a day to the satellite network; the first connection is made after the dial sensor detects sunlight and the second is made at a time pre-determined and set by the owner. 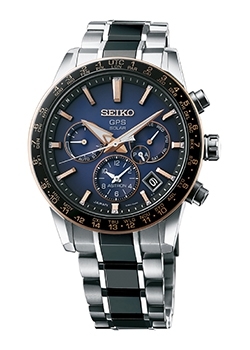 It is the perfect timepiece for the global traveller. If there are changes in the region / time zone / DST, manual selection may be required. The new design is striking and yet refined. 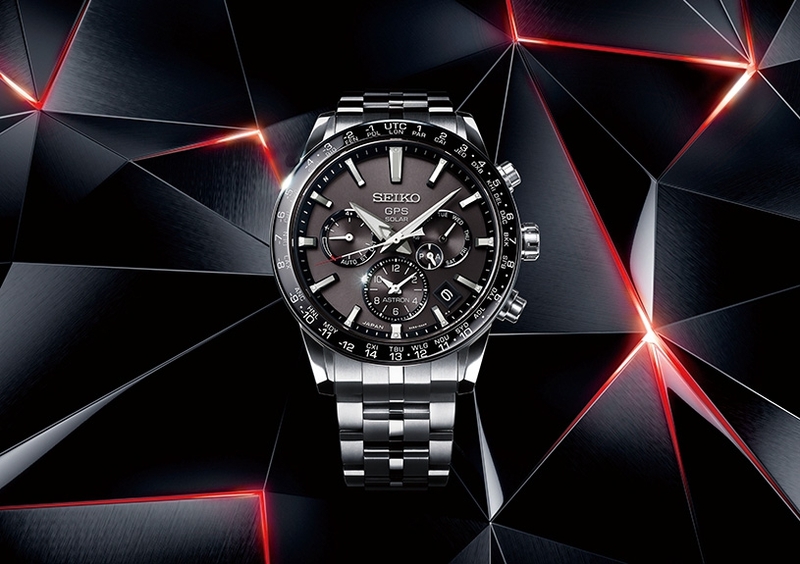 With its three dimensional dial, bold hands and the sharp lines and distortion-free surfaces that only Zaratsu polishing can achieve, the design is instantly recognisable as Astron and the perfection in every detail speaks volumes for the care taken at every stage of the manufacture and for the enduring beauty of the result. The new 5X caliber will be available in December in four design variations, including one limited edition of 2,000, inspired by the remarkable astronomical phenomenon of the supernova, a star that, at the end of its life, explodes and releases vast amounts of energy. In addition to these four creations, two more will be added in February 2019, each with a bezel using sapphire crystal and ceramic. In six short years, Astron has changed the way that many people perceive, measure and relate to time. Today, a new page is turned in the important story of GPS Solar technology and, as in 1969 and 2012, an Astron watch pushes back the frontier of high precision timepieces once again.